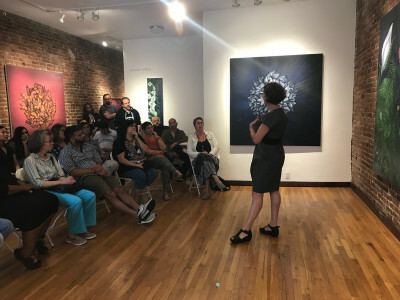 Nearly 30 art educators of the Jersey City Public Schools (JCPS) visited the gallery yesterday to see Allison Green’s solo show, “The Night Garden: New Paintings by Allison Green.” Organized by Ann Marley, the district supervisor of visual arts, their attendance served as a professional development day, in which the K-12 teachers took part in impactful discussions with Allison, a former JCPS teacher herself, and SEFA Director, Susan Eley, about arts education, exhibition, and management. 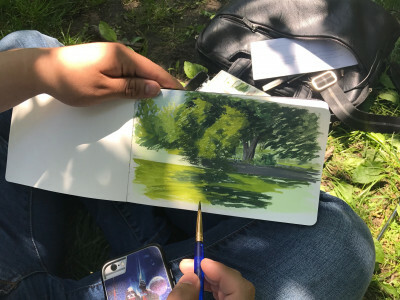 Following a private tour of “The Night Garden,” they traveled to Central Park for a plein air painting and sketching program. “The Night Garden: New Paintings by Allison Green” is on view now until Thursday, June 14, 2018. 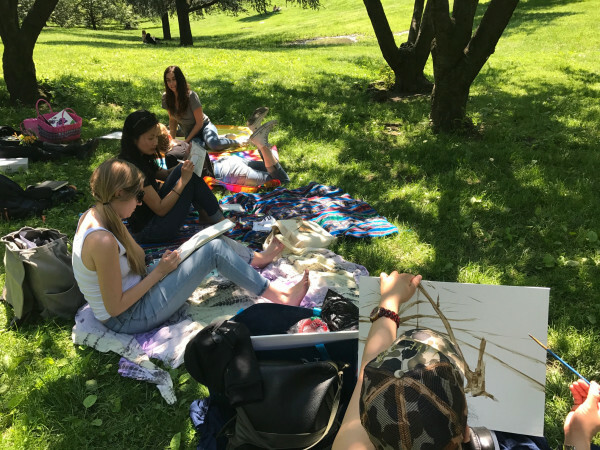 If interested in learning more about the exhibition, please contact the gallery or visit our website.